Moving into a new home can be one of life’s great joys, but it can also be a time of uncertainty, especially when it comes to decorating. How do you make your space look its best while reflecting your personal sense of style? Do it well and you’ll end up with a comfortable, happy home. Do it poorly and you’ll end up with a hodge-podge of furniture, fabrics and paint colors that never congeal into a pleasing whole. With a little planning, and by following the same steps used by professional interior designers, you’ll have a much greater chance of success. To reach the finish line, you first have to know where you’re going. Many have heard the advice to avoid grocery shopping when you’re hungry because it leads to poor choices. The same holds true for furniture stores – don’t go shopping in a panic, just because you have an empty home. Yes, you need a sofa. But if you pick the pink-striped sectional just because you like it in the store, without taking measurements or thinking about the rest of the room, you’re stuck with it. The rest of the room will have to be built around that sofa, and if it’s too large for the space it will look forever awkward. Start in the room you’re looking to furnish, armed with a measuring tape and a notepad. Matching the scale of furniture to the scale of a room is critical. A deep sectional sofa can easily overpower a small room and svelte chairs can get lost in a wide-open loft. Before you start designing, measure the length and width of each room you intend to decorate, along with the ceiling height and elements that could get in the way – stairs, columns, radiators and other obstructions. It’s also a good idea to measure window openings, along with the wall space below, above and to the sides of each one, to get ready for window coverings. “The first mistake most people make is that they buy things that are the wrong size – sofas that don’t fit in the room, sofas that don’t fit through doorways, tables that are too small, desks that are too big, nightstands that hang into the doorway,” said David Kleinberg, founder of the New York interior design firm David Kleinberg Design Associates. Carefully measuring your space can help avoid such problems. One option is to draw a floor plan the old-fashioned way, with paper, a pencil and a ruler. However, most professional designers use drafting software like AutoCAD. In between those two extremes are apps that aim to make it easy for homeowners to create simple floor plans (some even automate measurements with your smartphone’s camera, but double-check those numbers), including Magicplan, Floor Plan Creator and RoomScan Pro. Once you have the outline of the space, start experimenting with the placement of furniture, making sure that the footprint of each piece is scaled to match the size of the drawing. The decoration of a home for someone who regularly hosts large dinner parties, for instance, should be different from a home for someone who eats out at restaurants every night. The person who plans to host lavish fundraisers should have a different living room than the person who dreams only of crashing in front of the TV. Look in design books and magazines, as well as at online resources like Houzz, Pinterest, and Instagram to sharpen your personal style. “Figure out the style that you respond to most,” said Brad Ford, an interior designer in New York City, and develop a dossier of favorite images. Once you have images you like, study the details, advised Mr. Kleinberg. “See where pattern is used versus where solids are used, and where color can be used successfully or not,” he said. It will also help inform everything from the type of furniture you might like to a potential strategy for window coverings. To take ideas on a floor plan one step farther, use painter’s tape in the real space to outline where furniture will be placed on floors and against walls. There’s no getting around the math: If you splurge on an unexpectedly expensive chair, you’ll have less money available for the rest of the home. “You want to make sure you’re being strategic about how you spend your money,” said Mr. Ford. “A budget gives you a roadmap for how to divide the costs of things between rooms.” You can still make an exception if you find a one-of-a-kind dining table, he noted, but in order to pay for it, you have been thoughtful about where else you can cut back. Finishing drywall, refinishing hardwood floors and painting ceilings are all messy work. If at all possible, it’s better to have this type of work completed before moving any furniture or accessories into the space. If it can’t be avoided, seal large furniture under plastic drop cloths and accessories in boxes with tape to protect them. The foyer or entrance hall creates the first impression, so make it count. For that reason, a wall finish that might seem like too much for a living room or bedroom may be ideal in a foyer. “It’s a place where you can do a bold color, a lacquer or a wallpaper for a ‘Wow’ moment that you might be scared of in a large living room,” she said. An added benefit? Statement-making wall coverings and finishes tend to be expensive, but because foyers are usually small, these products can often be installed without breaking the bank. With a few key furniture pieces and accessories, you can make your daily arrival and departure sequence a breeze. “Typically, it’s not a huge space, so you’re working with a limited number of pieces,” said Mr. Ford. If you’re the kind of person who likes to drop everything when you walk in the door, “a console with drawers is great because it’s a nice place to hide your keys and mail,” Mr. Ford said. Or, in the absence of drawers, a bowl, tray or other sculptural containers can serve as a catchall to help keep things organized. A bench or a stool or two that slide under the console can provide a place to sit while lacing up shoes while taking up minimal floor space. As the first space people enter when coming from outside, the foyer has to deal with a lot – ice, snow, rainwater, mud and whatever else Mother Nature decides to deliver. To avoid having these things creep into the rest of the home, you need to deal with them at the front door. The effort begins even before you cross the threshold. “I like to have a mat outside the door, so people can wipe off their feet before even stepping inside,” said Mr. Ford. Inside, you can follow up with an indoor-outdoor rug. An umbrella stand not only keeps umbrellas handy but also prevents wet ones from draining on the floor. 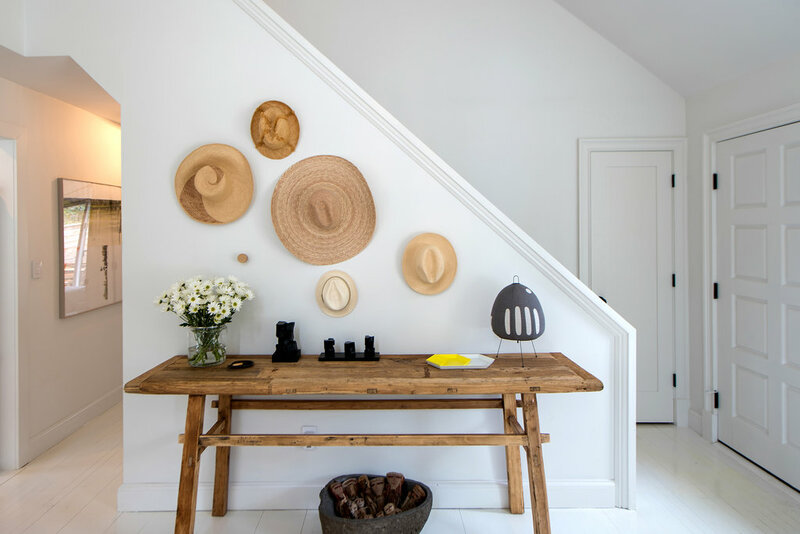 Storage bins or baskets, which can be stowed under a console (if the space isn’t taken by stools), can contain soggy hats and mitts. If your foyer doesn’t have a closet, buy coat hooks or a rack. These are all functional pieces that can serve double-duty as decorative elements as well. The main living areas, whether they are separate rooms or combined in an open-concept space, set the stage for life with family and friends. You can see colors, patterns and metal finishes online, but digital images are mere approximations of what the real things look like. Wherever possible, order color chips, fabric swatches and material samples to be sure finished products will meet your expectations. “You can order samples from most vendors, and it’s always best,” said Mr. Kleinberg. “Some colors blend together,” when viewed on a screen, he added, and it can be difficult to differentiate cool and warm tones. Don’t just look at the samples in isolation. Pin them to a board or put them in a tray to see how well they work together. “All greens play nicely together,” said Mr. Kleinberg. “All blues fight.” Putting samples side by side is the way to see if different colors and patterns will live in harmony or tension. 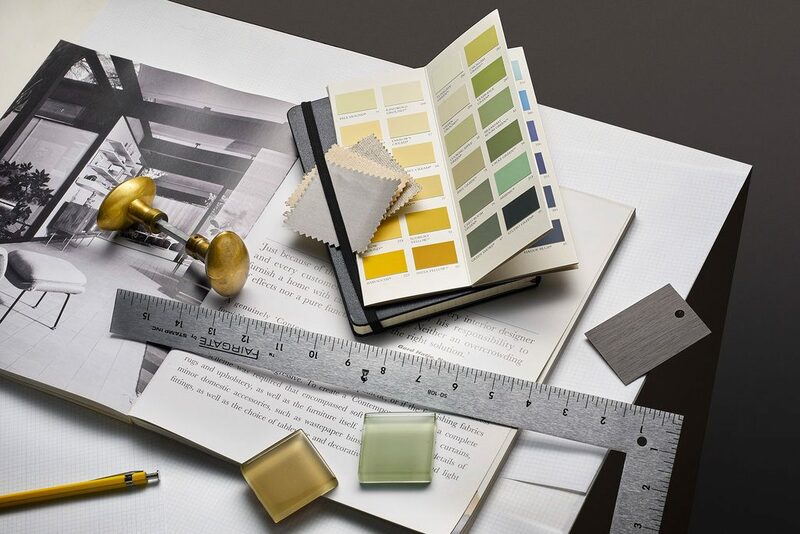 Paint colors are notorious for appearing different hues in different light conditions (and seeming to change between the paint store to home). This effect is only amplified once you slather it on four walls. For that reason, it’s never a good idea to commit to a paint color when you first see the chip in a store. Look at the largest chip you can get in the room you plan to paint, at a minimum. Better yet, paint large sample patches on walls or on boards that can be moved around and view them at different times of day. Note: As long as you test the color before painting the entire room, there’s no reason to be scared of bold, saturated colors. Once you have a color selected, choose the sheen. Matte or flat paints offer a pleasant gauzy appearance that also hides wall imperfections but can be difficult to maintain, clean and touch up. “I tend not to do matte walls, in general,” said Ms. Hampton, who prefers paint with an eggshell or satin finish that is just slightly glossier and easier to scrub. Baseboards, moldings, doors and other trim can be painted the same color as the room to make them visually recede, or a contrasting color — usually an off-white in a room with colored walls — to make them more of a feature. Trim can also be painted with a different sheen than the walls. A semi-gloss sheen will bring more attention to moldings while adding durability. For something unexpected, consider looking beyond paint. Manufacturers offer a multitude of alternatives, including patterned wallpaper, grasscloth, upholstery fabrics, wood paneling, and even stone and brick veneer. Working from your floor plan and inspiration images, choose the specific pieces of furniture — the sofas, chairs, and tables — that will make the space livable. Depending on the desired vibe, you can go in wildly different directions. 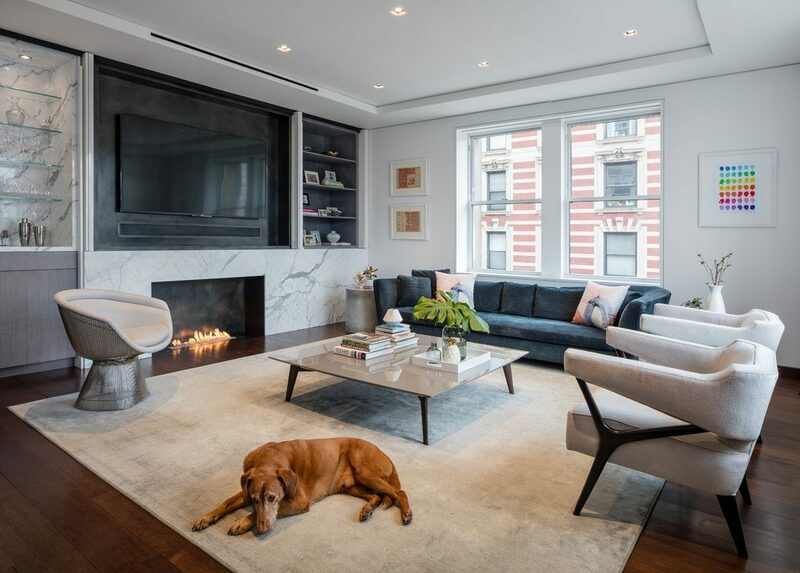 For a traditional room, focusing on a symmetrical layout often helps — for instance, installing a sofa and coffee table centered on a fireplace, with matching armchairs on either side. “A very symmetrical space can be beautiful and formal,” said Ms. Hampton. On the other hand, “if you choose a sectional sofa, it’s probably going to be a less formal space,” she said, with an asymmetrical layout. Seat height is also important. Sofas and lounge chairs in the same room should have seats that are at similar heights to avoid some people sitting much higher than others. In general, lower seats offer a casual, laidback feel, and higher seats come off as more formal. Whether the space is casual or formal, there is a rule of thumb to keep in mind: The number of dining chairs should roughly match the number of spaces for lounging.“That’s an old truth my father shared with me,” said Ms. Hampton. “If you’re planning to have 12 people at a dining room table, you should have 12 seats in the living room,” for entertaining before and after the meal. No living room sofa or chair should be an island of its own. When people sit down, they almost always need a place to put a drink or book, as well as light to read by. Place a coffee table or end table within easy reach of each seat, along with a table or floor lamp. No one wants to stub a toe on a chair leg, so you’ll also want to ensure there are clear walking paths through the living room, and that no furniture blocks part of a doorway or makes it necessary to squeeze by. Will your living room have a TV? If so, plan for a wall mount or a media unit to hold it, as well as a path for cables that won’t be unsightly. Do you plan to host buffet-style dinners? If so, a credenza or sideboard near the dining table will allow you to serve in one space rather than having guests traipse through the kitchen. A living room with hardwood floors but no rug looks naked. For visual and literal comfort, add a rug. A room-filling rug. Install a rug that covers almost the entire floor of the room, leaving a border or just a foot or two at the edges. This usually works best in smaller rooms. Seating area rugs. Break a larger room down into multiple seating areas by using rugs to visually hold each group of furniture together. Or, in an open-concept space, use a rug to hold the living area together, while allowing the dining area to sit directly on the wood floor. Layered rugs. Pile smaller rugs on top of a larger one to create extra visual interest while reinforcing the layout of the room. Be generous when selecting sizes. A small rug under the coffee table that doesn’t reach the legs of sofas and chairs will look like a raft lost at sea. The rug should extend about halfway, or fully, under the furniture at its edges. The last step to finishing any room is to add art and accessories, but there is no one-size-fits-all approach. In a minimalist space, it might be just a few objects; in a maximalist space, it could involve displaying entire collections and layers of objets d’art. Go back to your original inspirational images and study the way those rooms are accessorized. Do they mix candles, boxes, bowls, and books together, or is there just one vase on a table? Is there a single artwork above the sofa, or a freeform gallery wall? Be sure to consider your functional needs. A tray on an ottoman can contain remote controls. Throw pillows provide extra back support for deep sofas and chairs. A magazine rack can keep reading materials out of the way. Attractive baskets are ideal for tidying up children’s toys in a hurry. Designed correctly, a bedroom can serve as your nightly sanctuary. It’s called a bedroom for a reason: the bed is the key piece of furniture. As such, it should be given pride of place in the room, most likely with the headboard positioned against one wall and paths for walking on both sides. One exception: children’s bunk beds. Because they already have safety rails that usually only allow access from one side, there’s no reason not to have one in a corner. If there’s space, install nightstands on both sides of an adult bed for convenience. They could be simple small tabletops, tables with a single drawer for storing essentials, or something larger. “Consider whether you need extra storage space,” said Mr. Olsen. “You can use two dressers for nightstands,” to provide space for folded clothing. Do you like to watch TV in bed? If so, you’ll want a dresser, cabinet or console table near the foot of the bed that can hold the TV while providing additional storage (unless you plan to mount it on the wall or spring for a motorized stand). Many designers also like to put a single chair in the corner of a bedroom, not only as a place to rest but also as a landing pad for tossed clothing and personal accessories when you’re in a hurry. Some designers even upholster bedrooms walls for a literal soft touch. Underfoot, Mr. Olsen advocates adding some kind of textile to warm up cold, hard floors – either wall-to-wall carpeting, a large rug that extends underneath the bed or smaller rugs on either side of the bed, and perhaps at the foot of the bed. There are many different ways to make a bed, and the subject of whether or not you should use a top sheet has been the subject of fierce debate in recent years. Much comes down to personal preference and whether you desire a bedroom that feels casual or formal. It’s possible to make a bed with nothing more than a fitted sheet over the mattress, a nice duvet and a couple of pillows. But for something a little more formal, you need more layers. 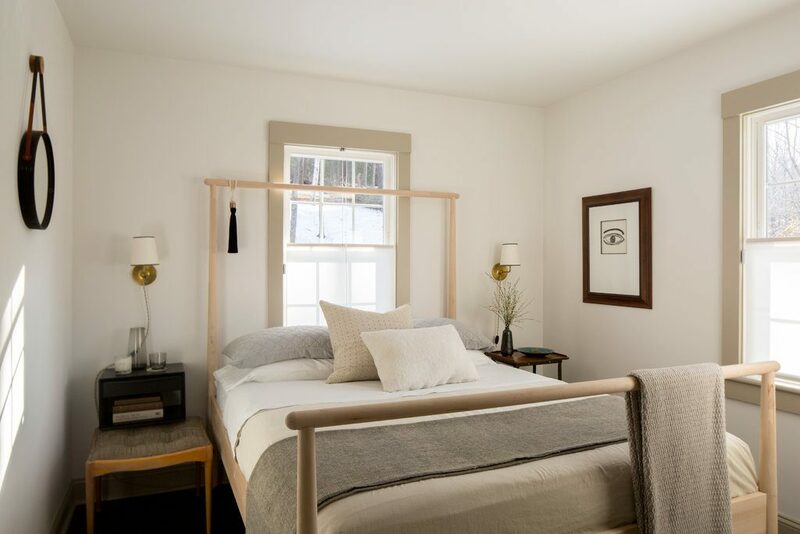 Mr. Olsen recommended keeping the sheets simple – perhaps hotel-style white linens with a subtle embroidery detail at the edge – and bringing in color and pattern with the top two pillow shams and a decorative pillow. The ability to control light – both natural and artificial – is important. If you’re sensitive to sunlight when sleeping, you want to have the ability to eliminate it completely. The best way to do so is with a blackout roller shade or a Roman shade with a blackout lining. However, sunlight will still usually leak into the room at the edges of the shade. To block it, add curtains with a blackout lining. At night, it’s helpful to have layers of lighting. An overhead light allows you to illuminate the whole room quickly but may not do much to set the right mood. In terms of control, “Every light should be on a dimmer,” said Mr. Olsen – good advice for every room of the home. Customizing these spaces can add personality without requiring a gut renovation. Changing kitchen counters is no small undertaking, but switching from an inexpensive material, like laminate, to a luxurious one, like marble, granite or quartzite, can significantly change the overall appearance of a kitchen or bathroom. The kitchen backsplash is another area ripe with opportunity. 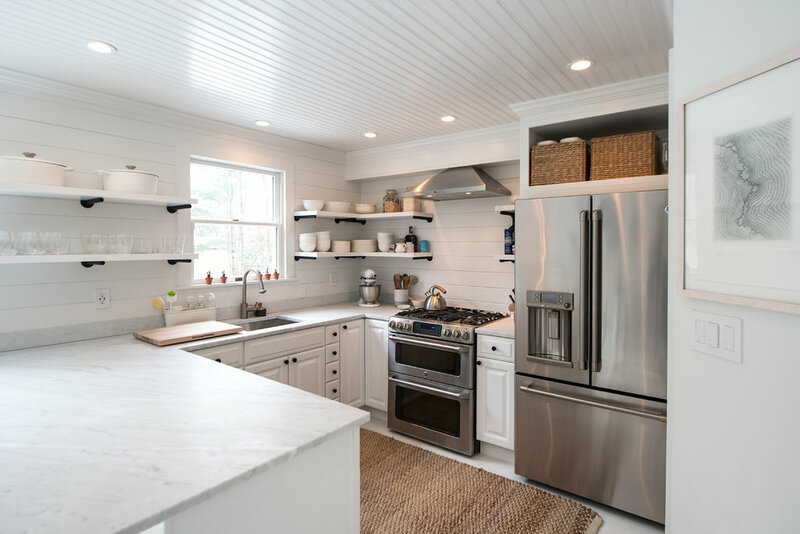 Even if you leave the existing counters in place, you can add or replace an existing backsplash using a favorite tile made from ceramic, glass, metal or cement. If kitchen cabinets and the bathroom vanity cabinet are simple and in good shape, it’s often possible to paint them a new color for a different look. If the cabinet doors have a design that looks dated, you can sometimes keep the existing cabinets carcasses, and replace the doors only. In the case of a cheap bathroom vanity, it’s often economical to replace the whole thing. Many companies offer prefabricated vanities, complete with matching tops and sinks. Simply replacing cabinet pulls with new hardware can significantly change the look of a kitchen or bathroom. The kitchen and bathroom faucets are also no place to skimp – you touch them every day, so choose models that not only look good, but also have handles that feel reassuring when you turn them, and heads that offer the functionality you desire. In a bathroom, this line of thinking extends to accessories as well – quality towel bars, robe hooks, and toilet roll holders can all give the room an upgraded appearance at minimal cost. There’s no point in having nice towel bars if they’re holding frayed or mismatched towels. Recycle your old ones and buy new towels and washcloths in a single solid color (you deserve it). For a decorative accent, add patterned hand towels. If there’s a mildewed shower curtain around the tub, replace it with one made from a pleasing material like linen, or a glass panel. If the bathroom or kitchen floor leaves something to be desired, but you don’t want to go to the trouble or expense of tearing it out, you can cover it with a large woven vinyl rug or mat from a company like Chilewich or Bolon. Because it’s so small and used infrequently, a powder room is a perfect place to let your inner decorator run wild with bold colors and wall coverings. “If you entertain, it’s so much fun to make it an unexpected, cool element,” that will surprise guests, said Mr. Olsen, who has designed powder rooms with wild wallpaper and mirrored wall panels. Finally, remember that decorating should be fun. By starting out with a plan, and following the same steps used by the pros, you’ll make the experience significantly less stressful than going at it in a haphazard fashion. And, hopefully, you’ll end up with the ultimate prize: the home of your dreams.